Germany is breaking one of its major post-war taboos by announcing there will be an annual Veterans' Day to remember fallen soldiers. 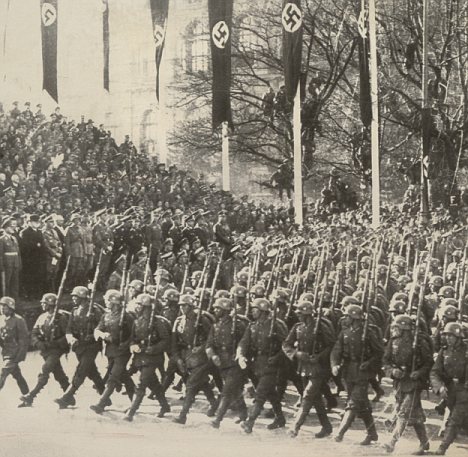 The country's defence minister has unleashed a storm of criticism from opposition politicians and pacifists who object to the army being honoured given Germany's bloody past in the 20th century. German Defence Minister Thomas de Maizière has proposed May 22 as an annual Veterans’ Day to honour former soldiers living and dead. This would mean honouring those troops of both world wars who acted as aggressors - and in the case of the Nazis in World War 2 - often as criminals. 'Against the background of our operations and the questions they pose our society, it is time to speak objectively and openly about our veterans' policy,' de Maizière said.